Discover 100 inspiring solutions to climate issues sourced from all over the world ! Description: Shipping is used to move more than 80% of the world’s commodities and every year transfers three to five billion metric tons of ballast water (used to ensure the ship stays stable at sea). Ballast water contains a variety of organisms, including bacteria, viruses and marine plants & animals. When discharged, these non-native species can actually cause devastating ecological and public health damage. The French company Bio-UV Ultraviolet Solutions has developed an innovative, ecologically friendly and complete system for treating Ballast Water from boats, called BIO-SEA®. The system is chemical-free, as it combines mechanical filtration with UV disinfection, and it enables the reduction or total elimination of the presence of invasive species. BIO-UV has grown from a tiny local business to an international company with its own US subsidiary. Why do we love it: A non-chemical solution for tackling a huge environmental and human health problem – the treatment of ballast water from cargo ships. Can you summarize BIO-SEA in one sentence? Ballast water treatment for cargo ships that stops the destruction of ecosystems, caused by pollution from invasive species. Where did the idea for BIO-SEA come from? In 2009 it became obvious that our disinfection technique, which uses UV, could also be applied to ballast water and would provide a perfect non-chemical solution. Ocean conservation is a major global health issue. Shipping is used to move more than 80% of the world’s commodities and every year transfers three to five billion metric tons of ballast water (used to ensure the ship stays stable at sea). Ballast water contains a variety of organisms, including marine plants & animals at their larval stages, bacteria and viruses… When discharged in a new environment, these non-native species can actually cause huge damage to the local marine ecosystem. Concerned by the preservation of biodiversity and having operated in the water treatment sector for several years, BIO-UV decided to adapt its technology for use in ballast water treatment. BIO-UV started developing its BIO-SEA range of systems in 2010. How do you see BIO-SEA’s future? In 2013 we obtained international IMO (International Maritime Organization) certification. The process of obtaining this certification required more than € 3 million in investment. We are currently re-investing € 3 million in view of obtaining American certification (USCG). By mid-2016 we will have met all the requirements needed for global expansion and should therefore be able to triple our annual turnover in the next 5 years. When a Chinese freighter put into Lima’s El Callao seaport in 1991, cargo was not the only thing it unloaded. It dumped ballast water too, and with it a virulent Asian strain of cholera bacteria. Within weeks, the disease had contaminated seafood and torn through the slums of Peru’s capital, eventually spreading to 11 other countries. Latin America found itself facing a cholera outbreak for the first time in over a century. By the time the epidemic finally subsided, some 9,000 people were dead. What happened in Peru spotlights a little-known side effect of our globalized economy. The ships that transport more than 80 percent of the world’s commodities also move between 3 and 5 billion tonnes of seawater around the planet each year. They do so as ballast—the water carried in huge tanks that ensures a vessel remains stable at sea. 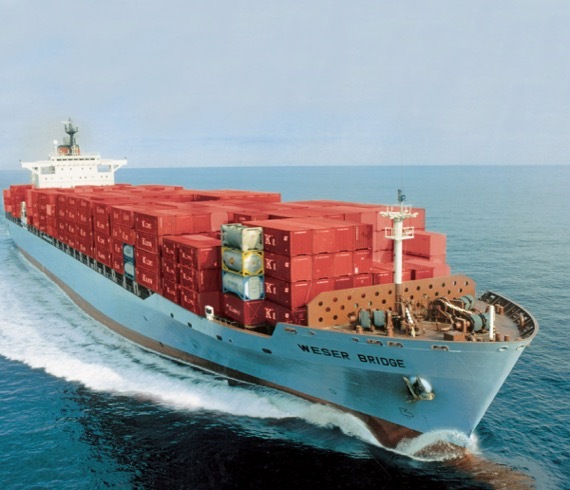 When a ship unloads its cargo, it takes on ballast water to compensate for the missing weight. This ballast is then dumped when the ship takes on cargo at its next port of call. Ballast water contains a variety of organisms, including bacteria, viruses and the adult and larval stages of marine plants and animals. When discharged, these non-native species can thrive in their new habitats, causing devastating ecological, economic and public health damage to the surrounding environment. To deal with the problem, the UN’s International Maritime Organization and the US Coast Guard have both adopted regulations that will require ships to treat all ballast before discharging it into coastal waters across the globe. Various companies—using methods of treatment that include chemicals, heat, electricity and ultrasound—are now tackling the spread of invasive species by shipping. One of the most innovative and ecologically friendly of them has roots that trace back to a residential swimming pool in the south of France. With its sidewalk cafes, terracotta roof tiles and chirping cicadas, the French town of Lunel feels a long way from the bustling sea-lanes of international trade. Yet it was here that Benoît Gillmann—BIO-UV’s founder, then working in the medical equipment business—first stumbled across the technology that has put his company at the forefront of ballast water treatment, through the BIO-SEA brand. The BIO-SEA system is non-chemical, using ultraviolet light to inactivate all living organisms present in the water pumped into or out of a ship’s ballast tanks. After passing through a compact filter, the water is exposed to UV-C radiation at the 254 nanometer wavelength—exactly the kind of ultraviolet light from which the Earth’s atmosphere protects us. In 2000, the company began marketing the technology for swimming pool and general water treatment. Ten years later, it spotted rich new opportunities in the international effort to tackle the ballast water problem. Following a three-year R&D program and investment of €2.5 million (US$2.8m), its UV treatment system was successfully adapted to marine applications, obtaining full IMO certification in 2013, with US certification set to follow in 2016. 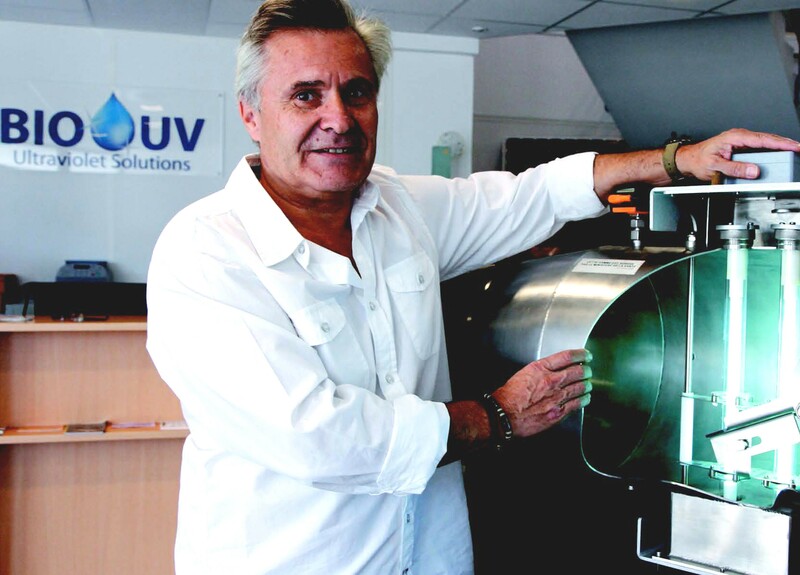 In the process, BIO-UV has grown from a small business to an international company with its own US subsidiary. « In 2000, we started from nothing, » said Gillmann. « There were just three of us. Today we have 49 employees in France and 20 in the US. » He retains a majority stake in the business, with the remaining 46 percent owned by three investment funds. The last two entered the company’s capital in 2010 and 2014 respectively, specifically attracted by its growth prospects in the emerging market for ballast water treatment. BIO-UV forecasts its revenues to rise from €12 million today to €30 million by the end of 2018. And yet the company continues to go from strength to strength. In 2013, it supplied a ballast water treatment system for the new flagship of the CMA CGM Group, the world’s third-largest shipping company: with a capacity of 18,000 containers, the CMA CGM Vasco De Gama is one of the biggest cargo ships in the world. « That’s a great source of pride and recognition for the company, » said Gillmann. It’s good news for the rest of the planet, too. Quand un cargo chinois est arrivé dans le port de Lima, El Callao en 1991, il n’a pas déchargé que sa cargaison. Il a aussi vidangé l’eau de ses ballasts et, avec elle, une souche asiatique virulente du germe du choléra. Pendant des semaines, la bactérie a contaminé les fruits de mer et frappé les taudis de la capitale du Pérou avant de finalement se disséminer dans 11 autres pays. L’Amérique Latine s’est retrouvée en face d’une épidémie de choléra pour la première fois depuis plus d’un siècle. Le temps que l’épidémie se calme, 9000 personnes étaient décédées. Ce qui s’est passé au Pérou a placé sous les projecteurs un effet indésirable peu connu de notre économie mondialisée. Les bateaux qui transportent plus de 80 pour cent des marchandises dans le monde déplacent également, chaque année, entre 3 et 5 millions de tonnes d’eau de mer tout autour de la planète. Ils le font sous forme de ballast, l’eau qu’ils transportent dans de vastes réservoirs afin de garantir la stabilité du bateau à la mer. Quand un navire décharge sa cargaison, Il embarque de l’eau dans ses ballasts pour compenser la charge manquante. Cette eau de ballast est ensuite vidangée quand le navire embarque une nouvelle cargaison à l’escale suivante. L’eau de ballast contient divers organismes, parmi lesquels des bactéries, des virus et les stades adultes et larvaires de plantes et d’animaux marins. Quand elles sont libérées, ces espèces non autochtones peuvent prospérer dans leurs nouveaux habitats, provoquant des dommages dévastateurs pour l’environnement dans les domaines écologique, économique et de santé publique. Pour traiter le problème, l’Organisation maritime internationale des Nations Unis et les Garde-côtes des États-Unis ont tous deux adopté des réglementations qui exigeront des navires le traitement de toutes leurs eaux de ballasts avant leur vidange dans les eaux côtières du monde entier. Diverses sociétés, employant des méthodes de traitement parmi lesquelles les produits chimiques, la chaleur, l’électricité et les ultrasons, luttent désormais contre la dissémination d’espèces invasives par la navigation. Les racines de l’une des plus innovantes et des plus favorable à l’écologie d’entre elles plongent dans une piscine familiale du sud de la France. Avec ses cafés sur les trottoirs, ses toits de tuiles et le chant des cigales, la ville française de Lunel semble bien loin des voies maritimes en pleine effervescence du commerce international. C’est pourtant ici que Benoît Gillmann fondateur de BIO-UV, qui travaillait alors dans le secteur des équipements médicaux, a rencontré la technologie qui allait mettre sa société sur le devant du traitement de l’eau de ballast, par l’intermédiaire de la marque BIO-SEA. Le système BIO-SEA n’est pas chimique, il utilise la lumière ultraviolette pour inactiver tous les organismes vivants présents dans l’eau pompée dans ou vidangée hors des réservoirs de ballast d’un bateau. Après un passage au travers d’un filtre compact, l’eau est exposée à un rayonnement UV C à la longueur d’onde de 254 nanomètres, exactement le type de lumière ultraviolette dont l’atmosphère terrestre nous protège. En 2000, la société a commencé à commercialiser la technologie pour les piscines et le traitement des eaux. Dix ans plus tard, elle a détecté de nouvelles opportunités prometteuses dans l’action internationale de lutte contre le problème des eaux de ballast. Après un programme de R&D de trois années et un investissement de 2,5 millions d’euros (US$2,8 m), son système de traitement par UV a été adapté avec succès aux applications maritimes, obtenant une certification IMO complète en 2013, la certification US devant suivre en 2016. Au cours de ce processus, BIO-UV s’est développée passant d’une petite entreprise à une société internationale possédant sa propre filiale aux États-Unis. « En 2000, nous sommes partis de rien. » a déclaré Gillmann. « Nous n’étions que trois. Aujourd’hui nous avons 49 employés en France et 20 aux États-Unis. » Il conserve une part majoritaire dans l’entreprise, les 46 % restant étant dans les mains de trois fonds d’investissement. Les deux derniers sont entrés au capital de l’entreprise en 2010 et 2014 respectivement, tout particulièrement attirés par ses perspectives de croissance sur le marché émergeant du traitement des eaux de ballast. Les prévisions de BIO-UV en matière de chiffre d’affaire passent de 12 millions d’euros aujourd’hui à 30 millions d’euros à la fin de 2018. Mais tout n’a pas toujours marché comme sur des roulettes. « Le traitement des eaux de ballast dans le monde représente un vaste défi par lui-même, mais faire fonctionner une entreprise en France aujourd’hui constitue un défi encore plus grand, » a déclaré Gillmann. « Nous ne disposons pas des ressources financières des grands groupes et l’environnement réglementaire devient de plus en plus compliqué d’année en année. » Et pourtant la société continue de plus belle. En 2013, elle a fourni le système de traitement des eaux de ballast du nouveau vaisseau amiral du groupe CMA CGM, la troisième compagnie maritime la plus importante au monde : avec une capacité de 18 000 containers, le CMA CGM Vasco De Gama est l’un des plus grands cargos au monde. « C’est une grande source de fierté et de reconnaissance pour la société » a déclaré Gillmann. C’est aussi une bonne nouvelle pour le reste de la planète. Are you a project leader/business tackling climate issues? Do you offer an innovative solution with a strong social impact? Through Solutions&Co your project/business could gain international coverage, bringing you new audiences, thanks to publication in leading economic media. Tell us about your initiative so we can consider it for the next edition of Solutions&Co! Let's do something together ! Accepter les cookies vous assurent une navigation optimale sur le site. Si vous continuez de naviguer sur ce site sans changer les paramètres des cookies ou en cliquant sur "j'accepte" vous consentez à leur utilisation.